Chris Kelly chooses his words carefully. And he likes other people to do the same. Describe the Scania main dealer’s growing parts reclamation and truck recycling operation as a “sophisticated breakers” and he’ll query your terminology in a voice which is slow, measured and deliberate. 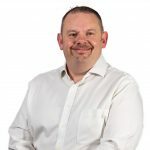 It’s difficult to argue with him: Kelly has spent more money on the recycling operation at Keltruck’s West Bromwich site than many breakers see in profit in a lifetime (at the last count it was a cool £250,000). 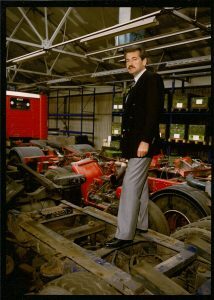 Pass through the 2,800m recycling area with its neatly binned components, steam cleaned engines and newly painted cabs (shrink-wrapped to keep the dust off) and you could easily be in the new parts department. But these parts aren’t new They’ve all been used before, some on trucks up to eight years old and since written off for scrap. Others come off vehicles that have ended their working life in a road accident. But whatever the source, if the component has life left in it and a potential buyer — it won’t be wasted. While the potential revenue from competitively-priced reconditioned components seems obvious, the message appears to have been missed by many franchised truck dealers. It was an area of business that traditionally is lost to a distributor; the bottom slice if you like, of the business that we wanted to take account of,” says Kelly. The potential buyer of recycled, or reconditioned parts has traditionally been the small haulier looking to save money over a factory reconditioned or “new” spare part. However, Kelly believes the market has moved on. “That bottom slice isn’t always the small haulier, it’s sometimes the larger operator with a vehicle that’s got a fixed life whether for accounting reasons or whatever — and if there’s a major component failure within six months of the end of that total period, one way or another they’ve got to get it back on the road for it to complete that accounting period.” Rather than pay a premium price for the durability of a new spare part for a vehicle that is due to be sold on, many large operators are now buying recycled components at lower prices to see them through that final operating period. Keltruck offers a two-tier service on used driveline components; effectively with or without full reconditioning. For the price sensitive haulier the extra work and cost of reconditioning can still tip the balance although even with new parts fitted the recon unit is still noticeably cheaper than the all new spare part. 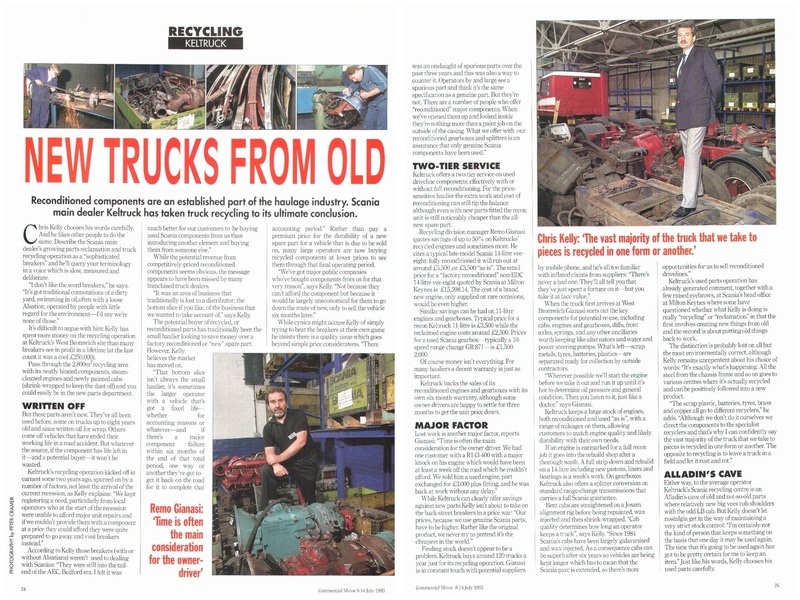 Recycling division manager Remo Gianesi quotes savings of up to 50% on Keltruck’s recycled engines and sometimes more. He cites a typical late-model Scania 14-litre V8; fully reconditioned it will run out at around £5,500, or £3,500 “as is”. The retail price for a “factory reconditioned” non-EDC 14-litre V8 quoted by Scania at Milton Keynes is £15,598.14. The cost of a brand new engine, only supplied on rare occasions, would be even higher. Similar savings can be had on 11-litre engines and gearboxes. Typical price for a recon Keltruck 11-litre is £3,500 while the reclaimed engine costs around £2,500. Prices for a used Scania gearbox — typically a 10speed range-change GR 871 — is £1,500-£2,000. Of course money isn’t everything. For many hauliers a decent warranty is just as important. Keltruck backs the sales of its reconditioned engines and gearboxes with its own six-month warranty, although some owner-drivers are happy to settle for three months to get the unit price down. When the truck first arrives at West Bromwich Gianesi sorts out the key components for potential re-use, including cabs, engines and gearboxes, diffs, front axles, springs, and any other ancillaries worth keeping like alternators and water and power steering pumps. What’s left — scrap metals, tyres, batteries, plastics — are separated ready for collection by outside contractors. “Wherever possible we’ll start the engine before we take it out and run it up until it’s hot to determine oil pressure and general condition. Then you listen to it, just like a doctor,” says Gianesi. Keltruck keeps a large stock of engines, both reconditioned and used “as is”, with a range of mileages on them, allowing customers to match engine quality and likely durability with their own needs. If an engine is earmarked for a full recon job it goes into the rebuild shop after a thorough wash. A full strip-down and rebuild on a 14-litre including new pistons, liners and bearings is a week’s work. On gearboxes Keltruck also offers a splitter conversion on standard range-change transmissions that carries a full Scania guarantee. Keltruck’s used parts operation has already generated comment, together with a few raised eyebrows, at Scania’s head office at Milton Keynes where some have questioned whether what Kelly is doing is really “recycling” or “reclamation” in that the first involves creating new things from old and the second is about putting old things back to work. The distinction is probably lost on all but the most environmentally correct, although Kelly remains unrepentant about his choice of words: “It’s exactly what’s happening. All the steel from the chassis frame and so on goes to various centres where it’s actually recycled and can be positively followed into a new product. Either way, to the average operator Keltruck’s Scania recycling centre is an cave of old and not-so-old parts where relatively new big vees rub shoulders with the odd LB cab. But Kelly doesn’t let nostalgia get in the way of maintaining a very strict stock control: “I’m certainly not the kind of person that keeps something on the basis that one day it may be used again. The time that it’s going to be used again has got to be pretty certain for me to keep an item.” Just like his words, Kelly chooses his used parts carefully.